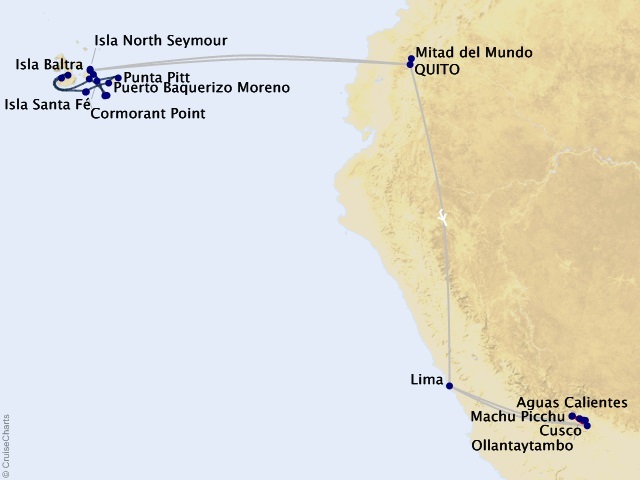 Departing from Quito on January 2, 2020. Experience one of the last uninhabited places on earth—the Galápagos Islands—in style aboard the Celebrity Xpedition. Designed not just for travel, but for exploration, this 100-guest mega-yacht sails the Galápagos Islands–one of the world's most pristine natural environments–seven days a week, 365 days a year. 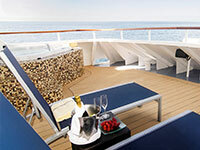 The Xpedition offers the perfect combination of explorer's voyage and cosmopolitan bliss. 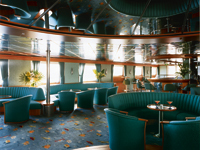 Step aboard and become part of an ardent community of travelers. 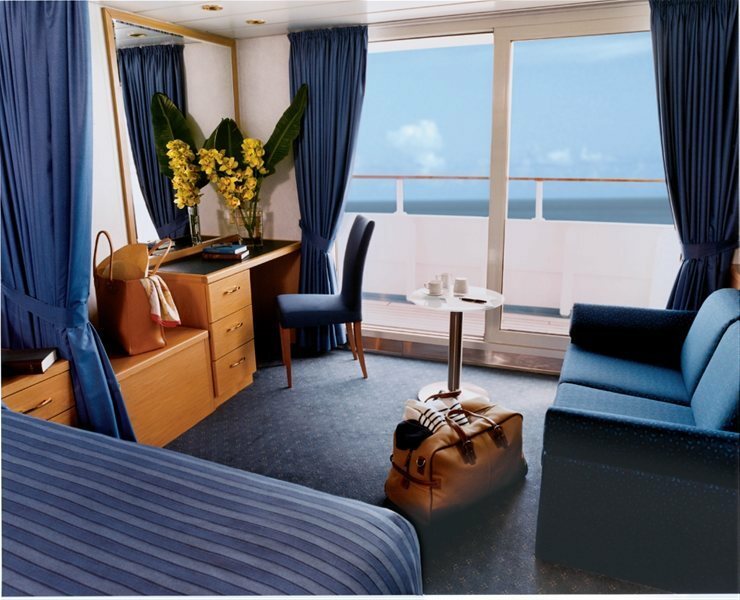 Experience the untamed wilderness from a ship that offers unexpected indulgences. Take comfort knowing its environmentally sound design helps preserve the pristine islands it explores. It's a journey like no other. 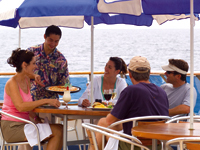 Casual, open-seating allows you the flexibility to enjoy the company of new friends or your favorite naturalist guide, while savoring fresh, locally grown and organic fruits and vegetables, as well as fresh fish caught by Galapagos fishermen. Named after the ship that first brought young Mr. Darwin to these rugged shores, the Beagle Grill is where you can enjoy casual fare in an equally casual, relaxed setting. 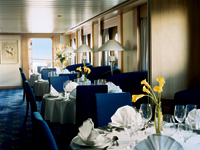 The Beagle Grill offers a delightful view that ensures your meal will not only be delectable, but memorable as well. 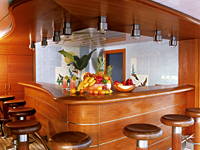 The Discovery Lounge offers an ideal venue to familiarize yourself with the wonders of the Galapagos. Get prepped on the creatures you'll encounter with naturalist-led nightly lectures or simply relax over a drink at the picturesque bar. Recount the day's activities over a drink as you take in the spectacular outdoor views from the Blue Finch Bar, located on the Panorama Deck. 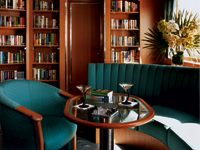 Enjoy relaxing with a good book in this warmly, appointed library. 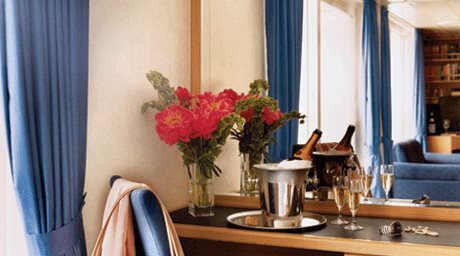 With a hot tub, sauna and sunning area, you'll find every amenity you need to feel good from your head to your toes on the Sunrise Deck. At night, unwind under a magnificent blanket of stars. The Penthouse Suite lets you explore the islands that inspired Darwin's theory of evolution while you're immersed in modern luxury. The unmatched natural beauty of the Galapagos is on full display with floor-to-ceiling glass doors and your own private veranda. Soak in sunsets on the equator from your private veranda in these elevated accommodations. Explore the islands that inspired Darwin's theory of evolution all while immersed in modern luxury. Modern luxury lives here. Enjoy two convertible beds and exceptional ocean views. Soak in sunsets on the equator from the sitting area in these elevated accommodations. 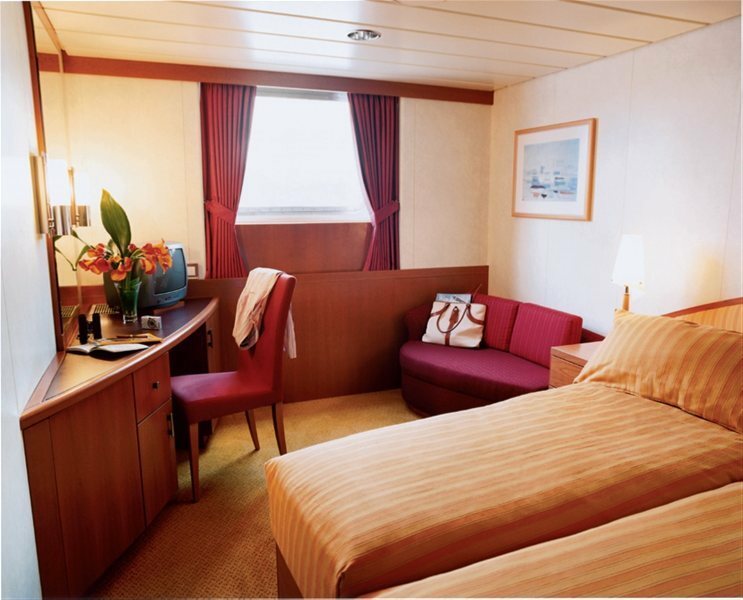 Your home at sea, relax after a day of exploration in modern luxury.